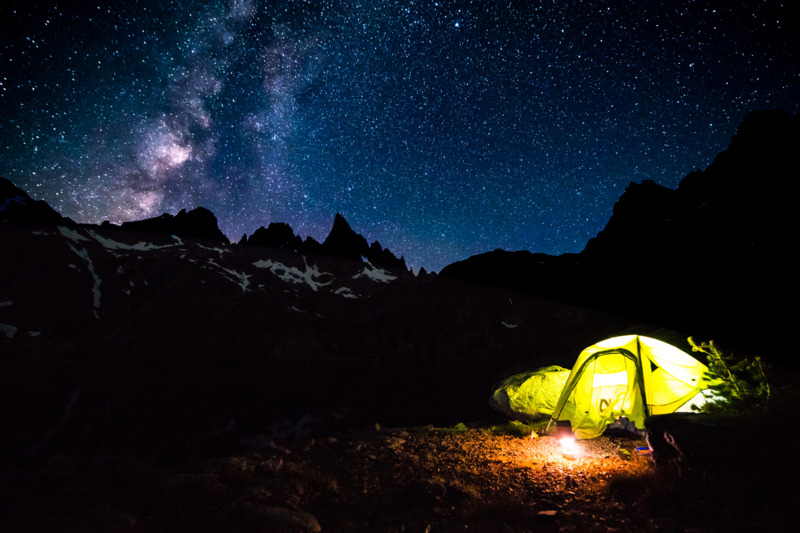 A round up of our favorite gear to photograph the stars with! Recently I've gotten really excited about photographing the stars, and have been learning the ins and outs of astro photography. As much as I love shooting landscapes during the day, there's something incredible about being alone out in the wild and capturing the night sky. 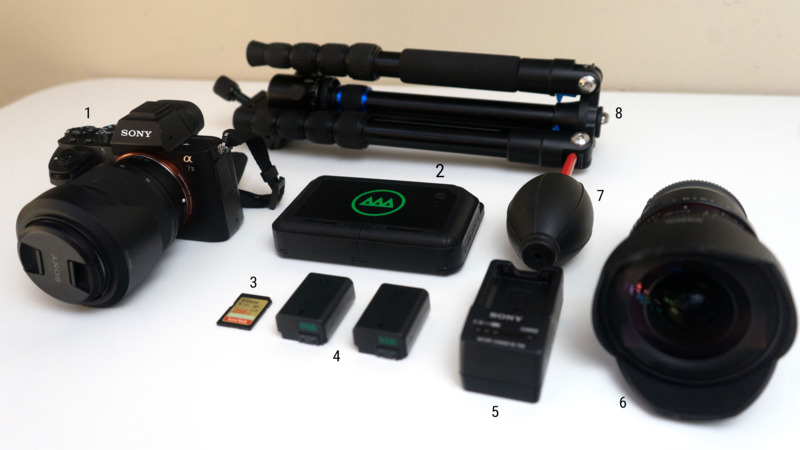 The gear used for photographing stars doesn't need to be terribly complicated, and this article will give you a good starting point to begin your chasing the Milky Way! Sony A7ii: It's taken me some time, but I've finally found a digital camera I truly love carrying. The Sony A7ii is a mirrorless full sensor digital camera that shines in nearly every situation, and does great at high ISOs. I usually pair it with the Sony FE 28-70mm f/3.5-5.6 kit lens. This lens does a pretty good job shooting stars if it's all you've got, but usually I keep this one for daytime shooting. GNARBOX: Perfect for editing on the go, GNARBOX allows me to quickly edit my RAW photos right after I shoot them, whether I'm curled up in my tent after shooting or sitting by the fire the next morning. Bringing my laptop out into the field is something I avoid at all costs, so GNARBOX is perfect for when I want to share my shots with friends right away. SanDisk Extreme 256GB: No matter how many photos you shoot, you're unlikely to run out of space on a 256GB SD card. The SanDisk Extreme is quick too, with speeds at 90MB/s. Extra Batteries: Astro photography is best done in the middle of nowhere, far from city light pollution, but that usually means you won't have power to recharge your batteries, so it's wise to bring backups! Battery Charger: Just in case you do have access to power somewhere along the way, having your charger handy means you'll have more juice to keep your camera going. Rokinon 14mm f/2.8: I love this lens and it's perfect for astro photography - sometimes focusing on stars can be hard with lenses that aren't as wide, but the Rokinon 14mm makes the job easy. Just set the focus to infinity, aim, and the lens will do the rest. For more info on choosing an astro lens, check out PetaPixel's great article. Air Dust Blower: If you've ever changed lenses on a full frame mirrorless camera, you know just how easy it is to get dust on the sensor. Keep your shots dust free and blow off your sensor before you swap lenses. Portable Tripod: Another essential for astro photography is a tripod. With exposure times sometimes lasting thirty seconds or more, it's paramount to use a tripod to keep your shots from blurring. With this basic kit, you'll have everything you need to shoot epic photographs of the stars, whether you're on a mountain top or deep in the desert. 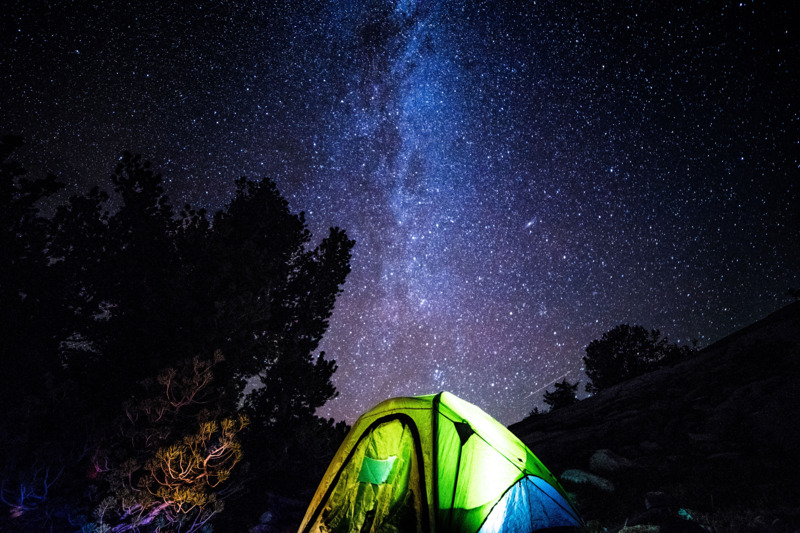 To locate the Milky Way, in addition to finding out if it is visible where you are at that time of year, you can use a variety of apps meant to help you photograph the stars, including Photo Pills and Sky Guide. You may also want to scout your location digitally before hand; we like to use Google Earth. It's important to do your research before you go out and shoot the stars; a full moon will provide too much light and a cloudy sky can make astro photography difficult. You can check out moon rise and set times, the full moon schedule, and more on Time and Date. The better idea you have of how the night sky will look wherever you plan to shoot, the better your photos will come out. Another wonderful resource to connect with fellow astro photographers that's chock full of technical advice, gear recommendations and gorgeous photos is the Milky Way Chasers Facebook Group. Be sure to do a run-through of your gear list before you head out too - there's nothing worse than planning and making the trip to go shoot, only to find out you forgot an SD card or your tripod didn't make it into the car!